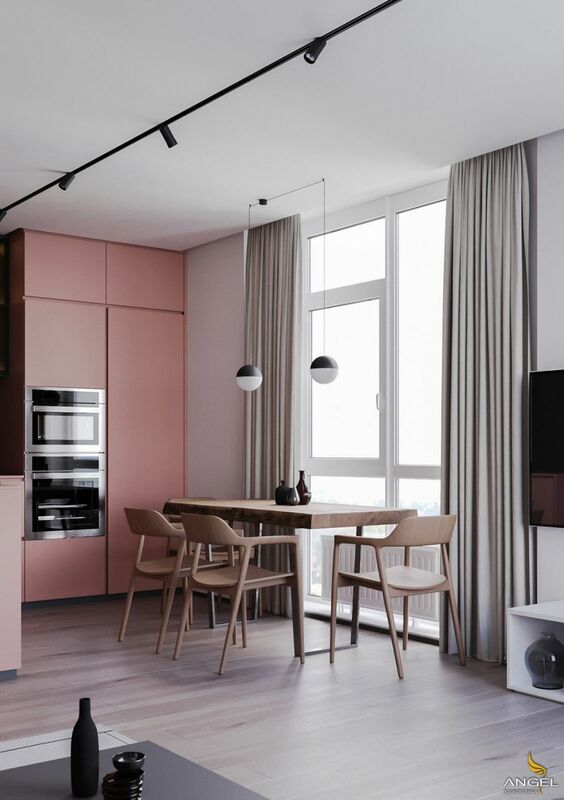 Have you ever considered pink as the color that is suitable for the mainstream of interior design? Incredibly, when it uses the same color, it brings a light color. 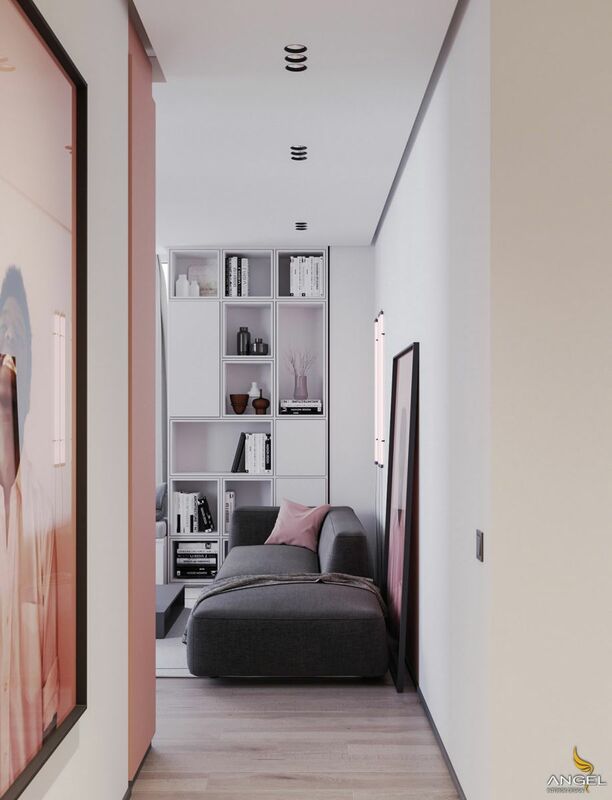 This apartment has a modern design that reflects the balance of pink and brown, creating a daughter's confidence and personality, especially the interior design of the apartment. 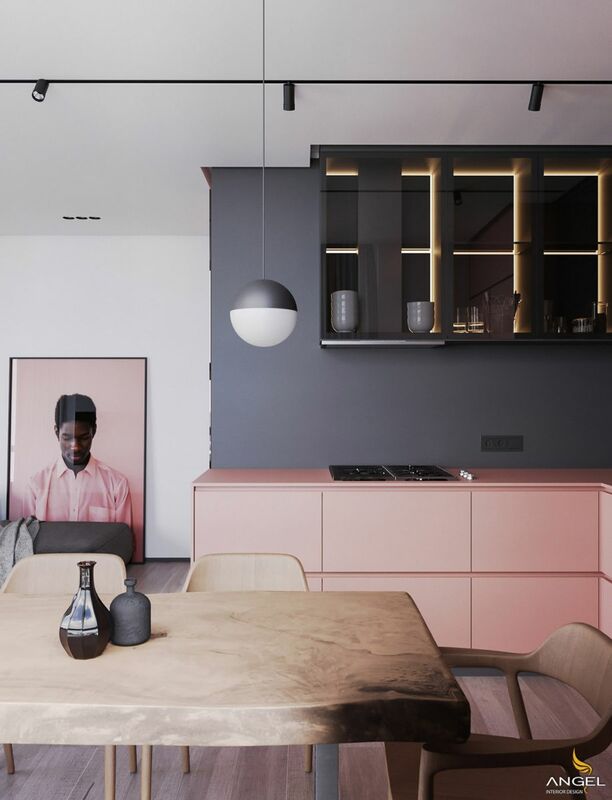 The grey and pink living room is on a pure white wall. 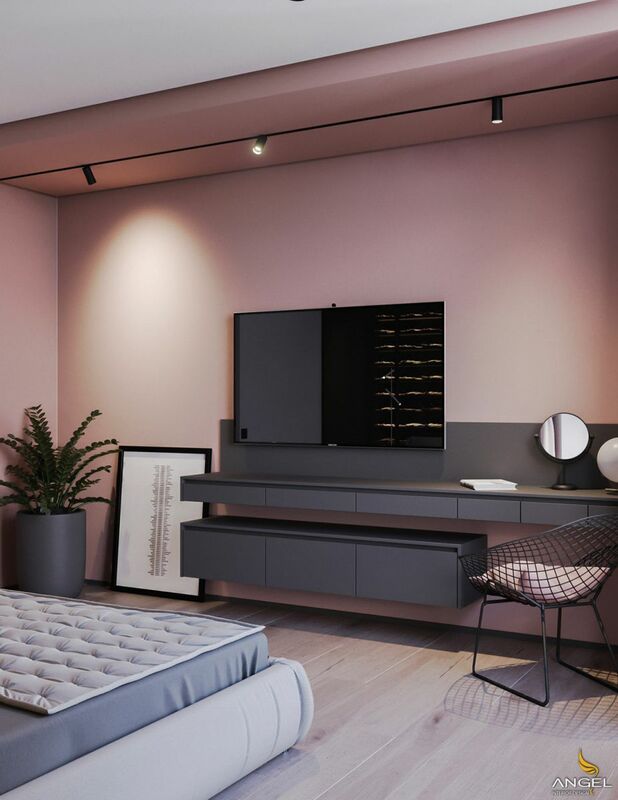 Modern benches with pure grey fabric and clean lines further add a large photo print of a pink mat and a pink-lined chassis. The modern low coffee table is an ideal couple with low sofas, like this sleek grey module with built in shelves. Several ornamental flower vases highlight its simple design. 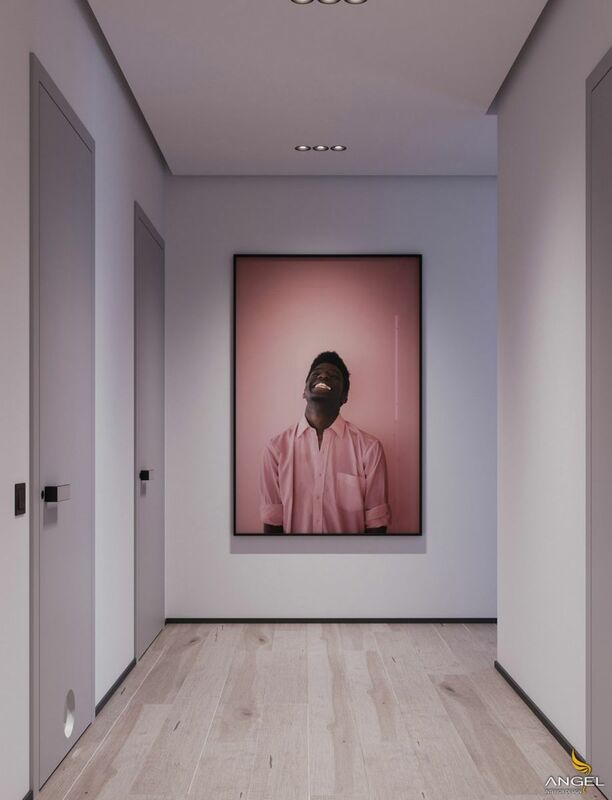 Above the bench, a set of neon pink lights add color to the highlights and create a soft light on the adjacent white bookcase. The bookcase contains a shelf and shelter for the sofa and a seat for the window. Seats and bookcases create a comfortable reading light with some extra pink dispersing pads and a warm grey hat. Various lockers use space at the bottom of the workbench. 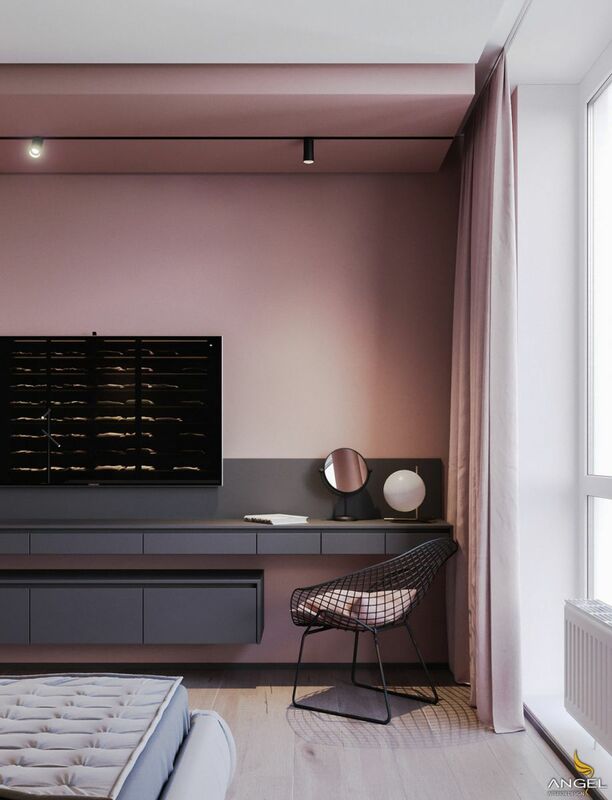 The seat unit extends in an L shape around the entire corner of the room, and the extension arm serves as a television console. The grayscale matches the sponge pad in the window. Create a wooden dining table that surrounds the space by arranging an L-shaped kitchen. The global chandelier illuminates a rectangular table in front of the large window overlooking the dining table. 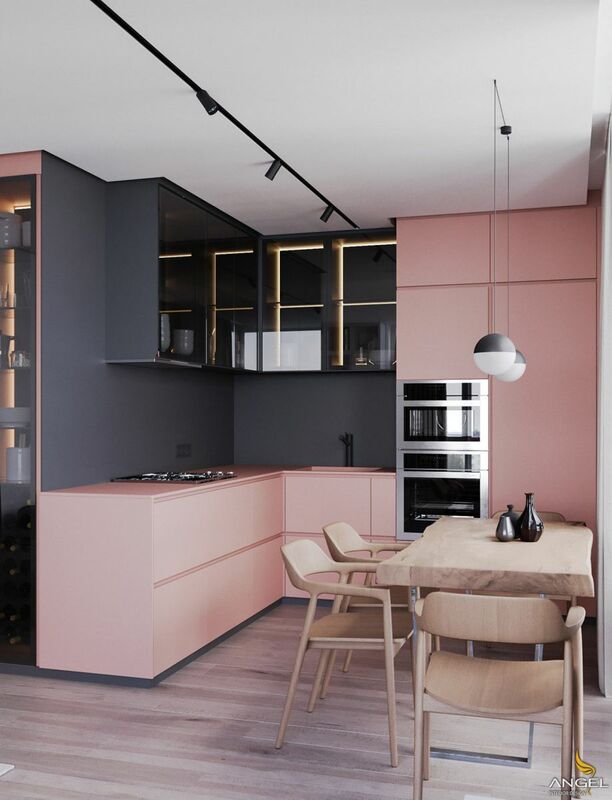 The grey kitchen may be a dark and serious problem, but the gray decor of this kitchen works with all the basic units of pink, and the tall cabinets make for warm and seductive pictures. .
Soft pink adds to the natural rhythm of rustic dining tables and wooden chairs. 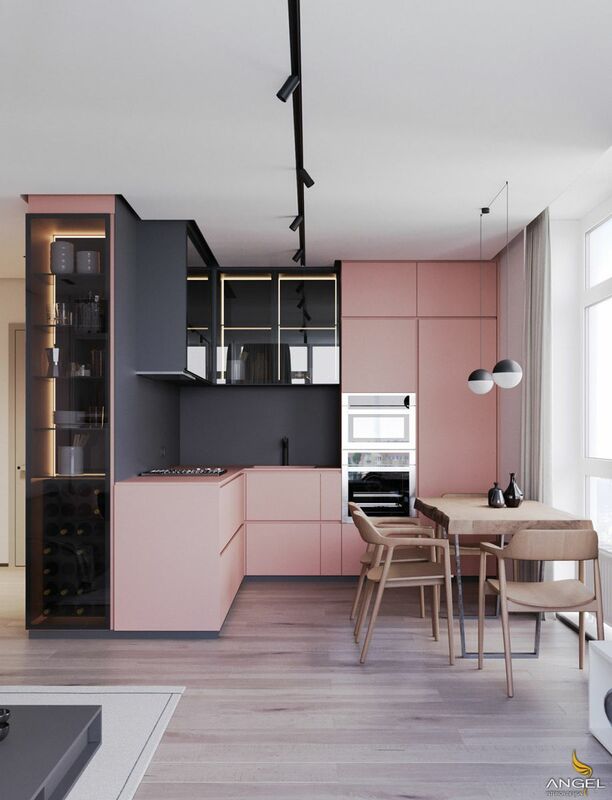 The wall cabinet above the preparation area, as well as a tableware and an adjacent wine cabinet, are charcoal grey and match the kitchen wall. The darker unit is backlit with LED stripe lights, creating an impressive advantage. 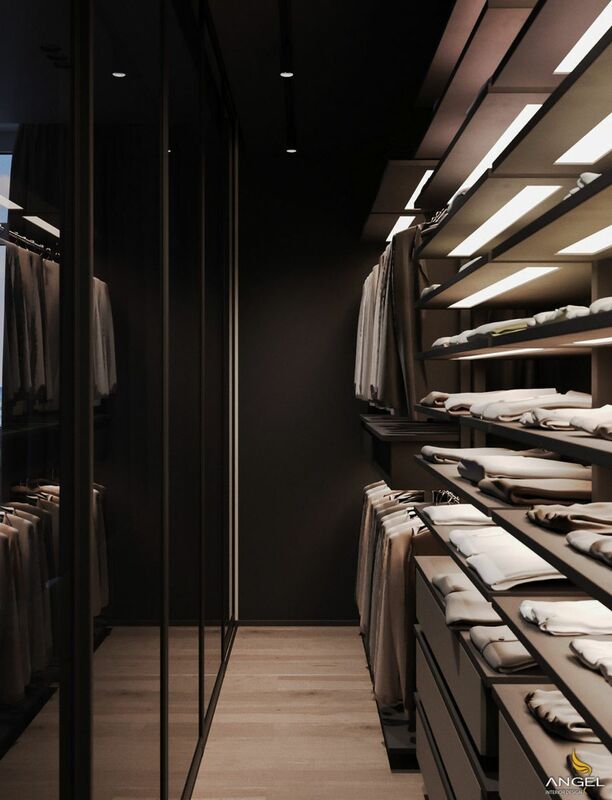 The edge LED lights are also used in bedrooms with wardrobes. The lampshade is very light and the hook is fixed behind the transparent glass of the bed. 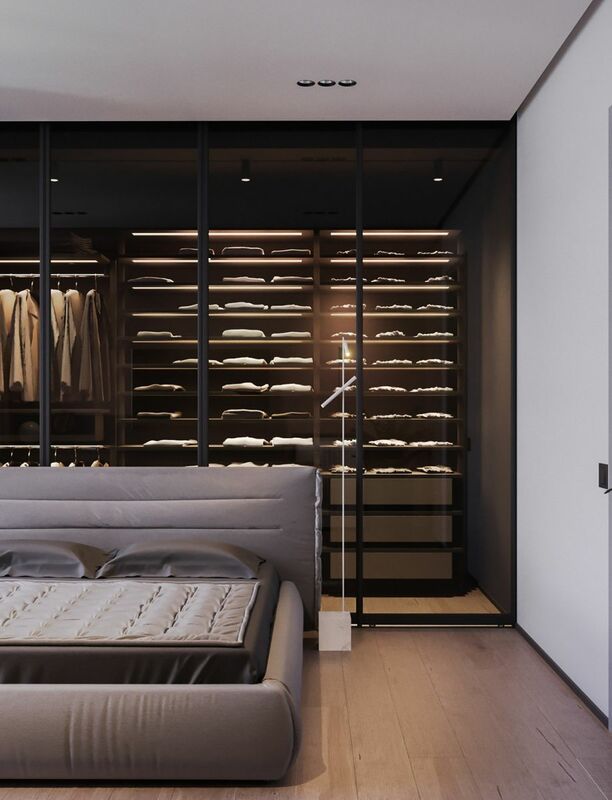 The dark boutique wardrobe is part of the grey bedroom decor with a gorgeous bed top that can be screamed by any fashion user. A small white table in the middle of the dark grey bed and window. The window is decorated with heavy dark roses. 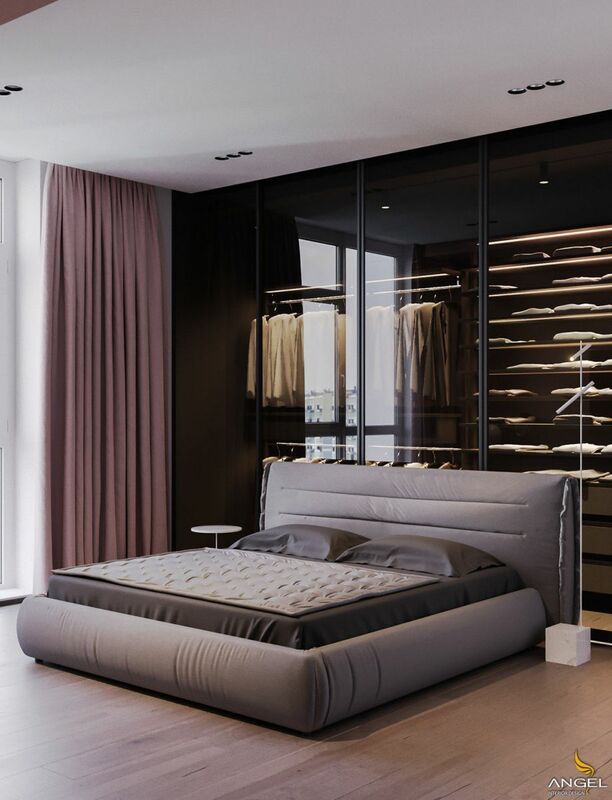 The unique floor lamp is located on the other side of the modern bed. The bedside table lamp has a small base that can be accessed without any difficulty by sliding the glass door. Of course, you may have to wear neutral clothes all your life to keep your front wardrobe away from the spectacular mountain top. At the foot of the bed, a TV was installed on the wall. The upper panel is a longer volume and one end is used as a dressing table. The diamond bertoia sitting on the wall hangs on the dresser. The upholstered chair is decorated with pink cushions to enhance the comfort of the chair design. This metal chair can also be used as a modern outdoor chair for a balcony or garden. The desk lamp on the side of the vanity mirror is the IC T2 lamp. The grey wall unit is connected to a ZZ factory by a large grower. 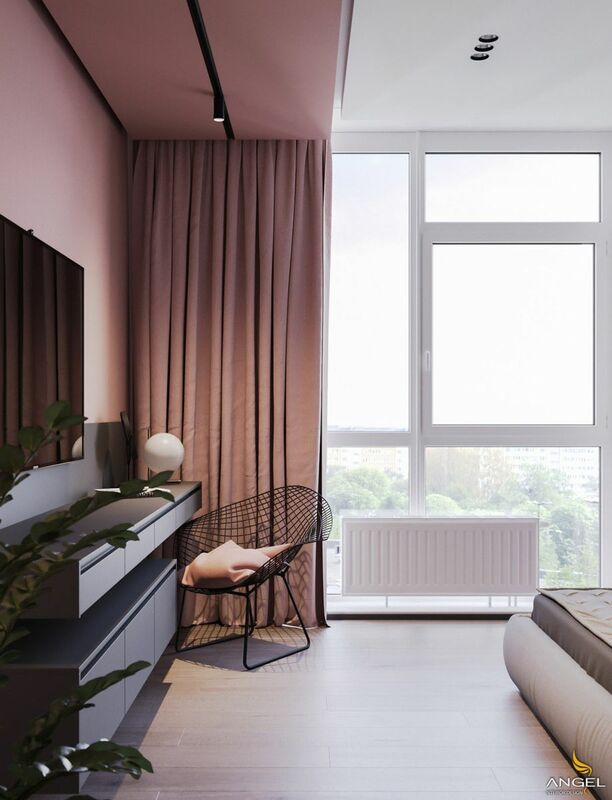 The charcoal block adds color to the pink walls of the room, while the indoor plants add a touch of texture. Even the gray brick walls in the bathroom received beautiful pink chalk. 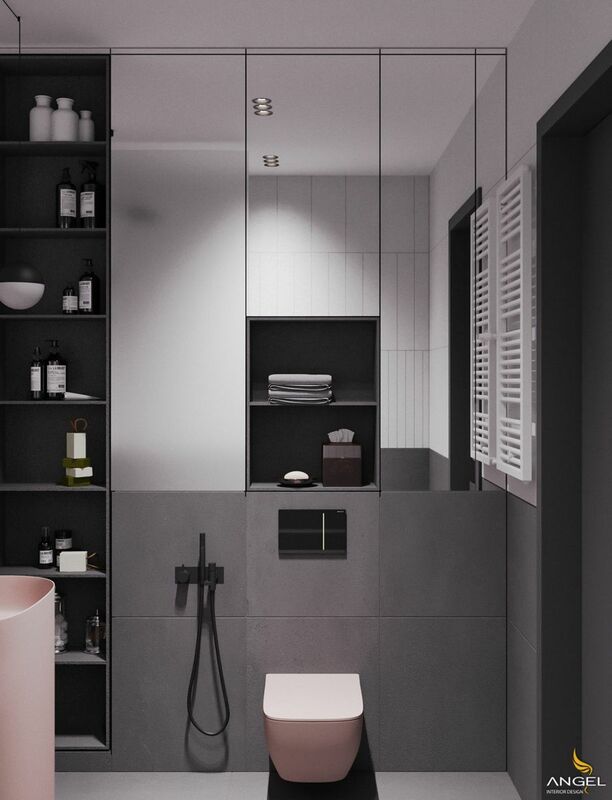 The unique sink and pink finishes change the overall look of the grey and hard white bathroom plan. 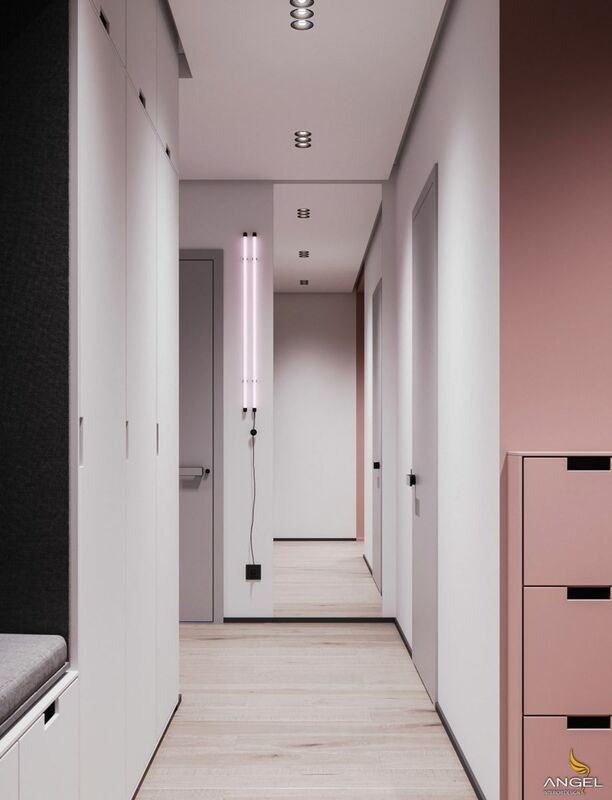 The utility room is individually designed with pink murals. 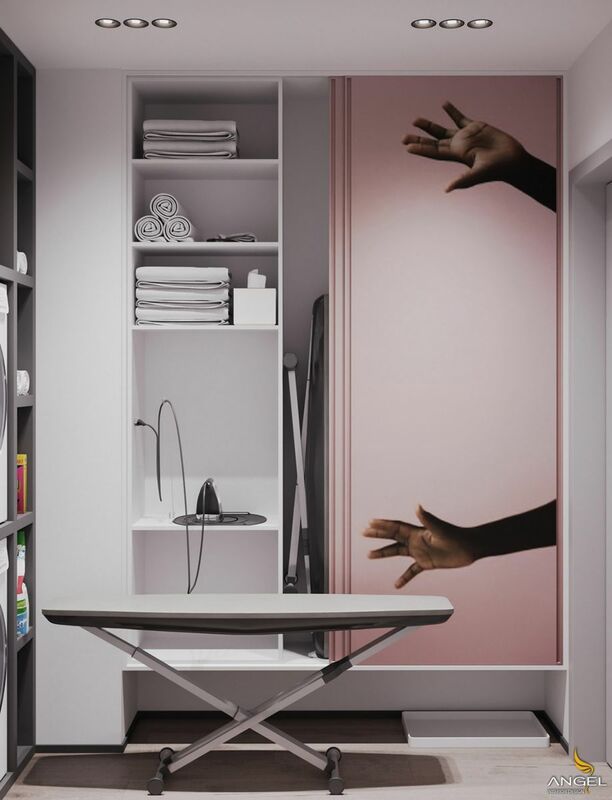 The appliqué sliding door features storage facilities including household linen, ironing board and ironing board. 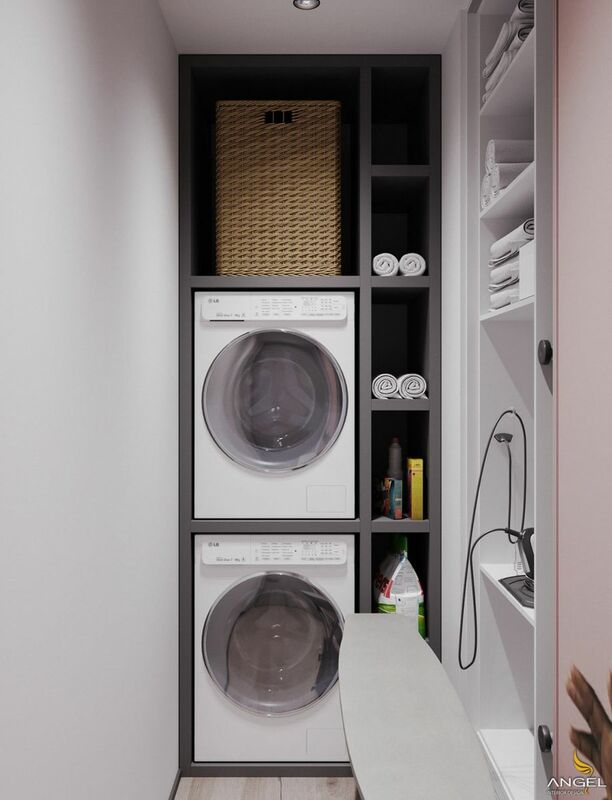 The washing machine and dryer are stacked in an adjacent grey shelving unit, which is an independent design designed to perfectly fit the narrow, practical space. 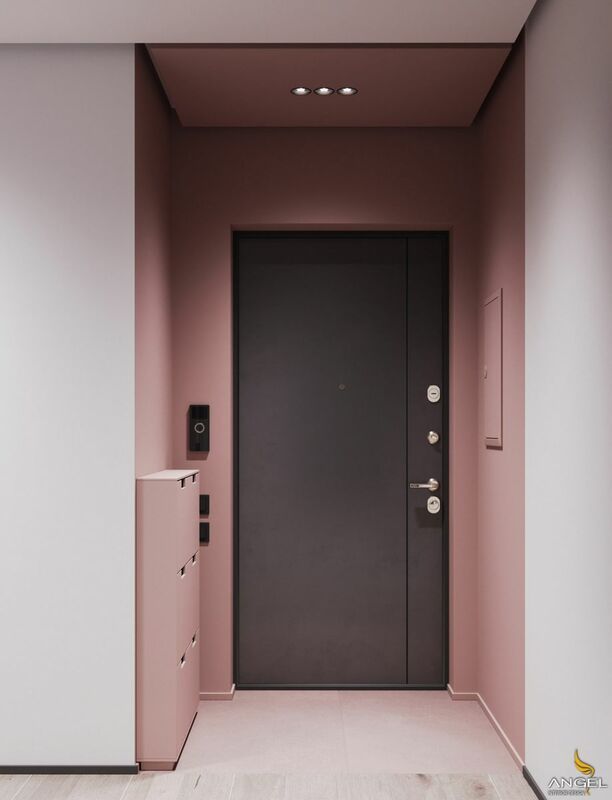 The corner around the door that entered the house was painted pink. 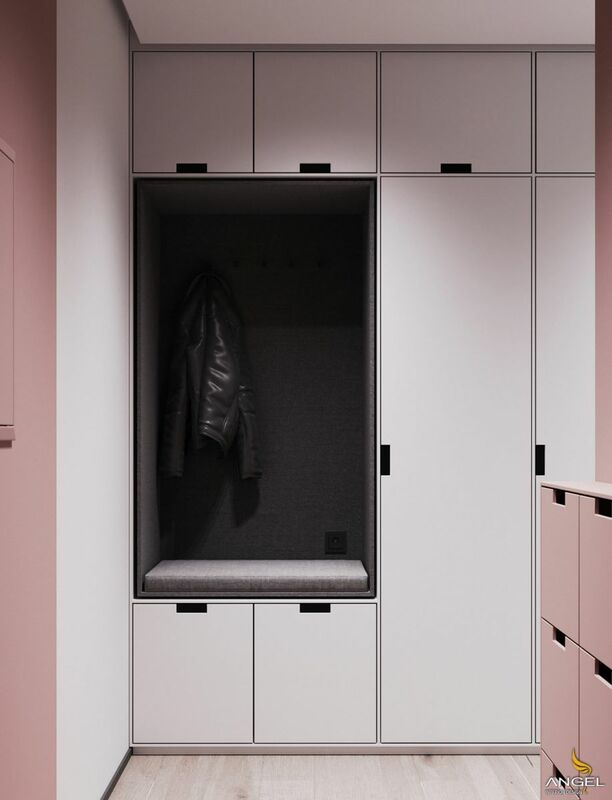 The shoe storage unit is also pinked to blend in with the surroundings.